This ‘too-cool-for-school’ jacket from Metier is a real conversation starter thanks to those integrated, high-intensity LED lights, but it’s more than just a flashy customer. 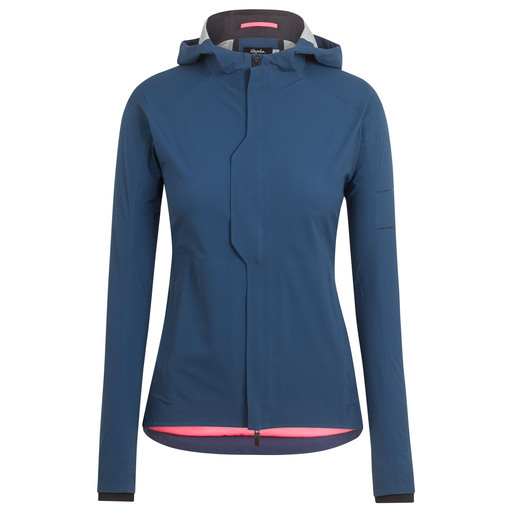 With a women’s-specific performance-cut, it’s sleek and stylish; it weighs a respectable 360g (with battery and silicon cover), it’s breathable, waterproof, wind-resistant and fully washable. What’s not to love? See it in action here. You can’t get much more versatile than the time-honoured gilet for winter riding, and you can’t get much more stylish than this French fancy from Nice-based brand, Cafe du Cycliste. Blending retro cool with beautiful detailing and performance expertise (including Primaloft Active insulation), this is one super-cool piece. Expect to fend off the compliments! The phrase ‘raining cats and dogs’ has never looked so cool or felt so good on the bike. Fully waterproof and breathable, this brilliant rain jacket boasts a ‘double-take’ print, plus cheeky little extras, such as three good-sized rear cargo pockets for riding essentials, vents in strategic places, a lightweight fleece collar for neck-hugging comfort... the list goes on. The fit is more like a long-sleeve jersey than a bulky rain jacket, but we're cool with that, especially as we count down the hours until the Spring riding season starts. Word to the wise: this brand's kit comes up a smidgen smaller than UK-based brands, so go a size up. There are times when you want to ride your bike, but you don’t want to look like a "full-kit wanker" – as our esteemed colleague, Joby, likes to refer to us as. When those occasions strike, this Hooded Rain Jacket ticks a lot of boxes. The cut is great, it feels delightful and it’s fully water and wind resistant. The rollout hood is engineered to fit under a bike helmet, the hold-back hi-vis cuffs boost riding visibility, while the hi-vis, drop-down tail is easily stored in the rear panel. Enough of listing the specs. It looks good, it feels good and it is good. If you’re unfamiliar with this brand by former pro rider, Martin Velits, then hop on over to their website and check them out. As with these fleece-lined tights, all their kit is handmade and exudes quality and their packaging and apparel is sustainably made. If you laugh in the face of lashing rain and arctic conditions, you’ll laugh even harder with these Fizik booties in your winter kit arsenal. These fully waterproof boots are made to endure whatever mother nature decides to deal out and the styling is up there with the best we’ve seen on a rubber bootie (and that’s a tough ask). You may not be able to say it, but you’ll definitely love this versatile minx of a jacket. Perfect on its own for Autumn or Spring riding, it makes a damn fine choice when paired with a rain shell for those wetter and colder Winter days. The reason behind this transitional dexterity? Well, those brain boxes at Assos know a thing or two about performance material, with clever things like ‘front-facing Stratagon Light’ and ‘thermal fabric RXQ’ doing the business when it comes to performance. We like. Billed as a gravel-road bike, the Diverge E5 is one seriously good all-rounder. 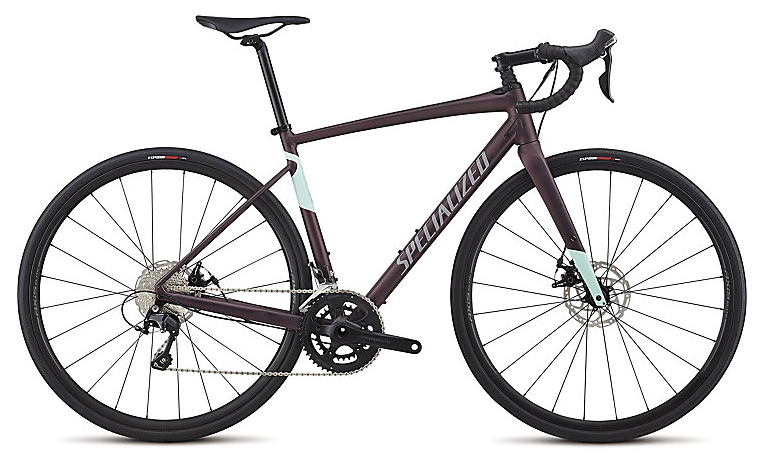 Cynics might say there are better bikes built purely for adventure, cross or commuting, but if you don’t have the space or wallet for 3 or 4 bikes, this is a cracking choice. The Premium aluminium alloy frame is lightweight yet tough, making it just as good for a dirty commute as a bike-packing adventure. The frame comes equipped with rack mounts, fender mounts and three bottle cage mounts, so it’s made for transporting laptops and life stuff in the week, then camping and fun stuff when the weekend rolls around. Then there’s the Future Shock system integrated into the headtube. This means the geometry of the bike stays the same when going through rough terrain and helps to reduce fatigue on those longer rides. Awesome!